Education functions is to develop capabilities, to form character and culture of a nation who is dignified in order to make the life of the nation more smart. The realization is improved quality of education designed in a set of curriculum. A curriculum is a set of plans and regulations concerning the purposes, contents, learning materials, and methods used to as the guide in implementing the activities in the process of learning and teaching activities to get to the purpose of education. The curriculum of level of education Unit/kurikulum Tingkat Satuan Pendidikan (KTSP) is a new shortcut for education in Indonesia, where education unit is given autonomous policy to make up their own curriculum to suit the condition of their school, area, and expectations as well as vision based on the law in effect. 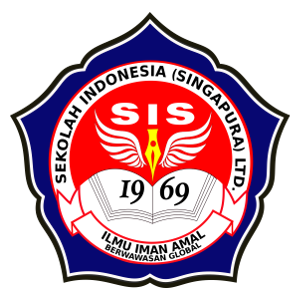 The Indonesian School Singapore is an implementer of the National standard curriculum education(SNP) + X. The development of this curriculum consist of education of national standard which is enriched, strengthened, widened, and deepened by adopting the curriculum of advanced countries in the field of education. The adoption is in nthe form of SKL, methods, process and assessment. So, Indonesian school Singapore is of a higher standard at various aspects that have stresses more on the aspect of intensity and quality of its educational services as effectively, proffesionaly, and characteristically to achieve an advantage in international forum.